The group of Nayagaun Samudayik Sanstha were conducting meetings for development of the village in an open ground. During rainy season they were facing a lot of difficulties to come together and plan anything. 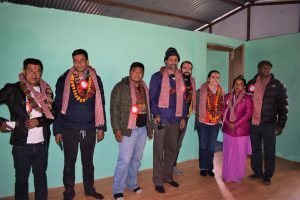 When they came to know about Nepal Jesuit Social Institute and it contribution to society, they requested for a community hall. This group has been living and working at Golanjor Rural Municipality-4, Nayagaun, Sindhuli. 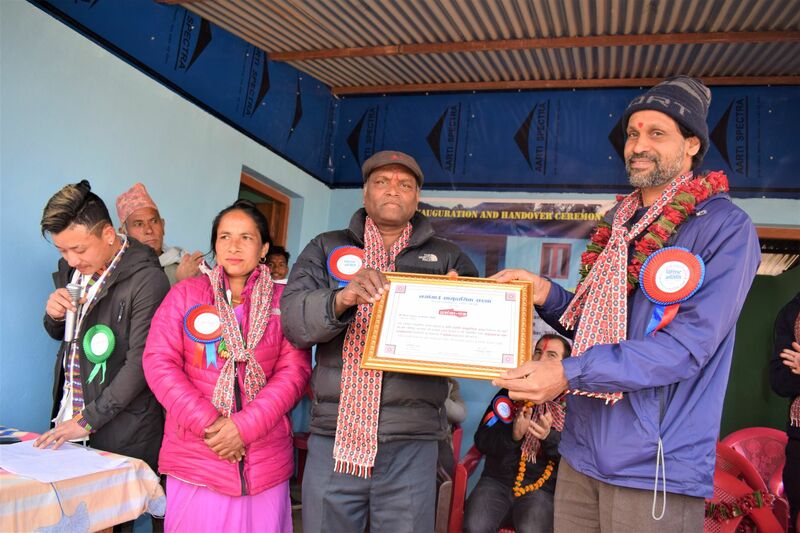 On 28th January 2019, a total of 63 people gathered on the inauguration and handover ceremony of newly built community hall built by NJSI. NJSI team of 10 members including Fr. Boniface, Fr. Juel, Miguel and Pilar (Xavier Network Delegate) also participated in the event. The program was followed by speeches and a dance performance by little children. The ribbon was cut and key was handover to the concerned authority. People were very happy and cheering for the newly built community hall. They express their gratitude in their speeches and personally too. They were quite excited to use community hall to conduct various skill development program and said that if any organization help us in conducting training, we will like to have soap and incense stick making training. This shows how enthusiastic they to make optimum utilization of the hall.